Emmy-winner Jimmy Kimmel serves as host and executive producer of "Jimmy Kimmel Live! ", ABC Television Network's distinctive late-night talk show. The show features a diverse lineup of guests, including celebrities, athletes, comedians, politicians and human interest subjects. 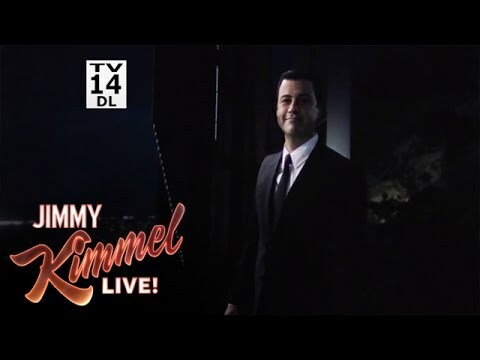 Along with a light-hearted and recognizable cast of characters, a hip house band and comedy bits in Kimmel's inimitable style, the show additionally offers one of the funniest, freshest monologues on television today, drawing from all forms of topical media. Jimmy Kimmel Live often features elaborate, innovative stunts such as having notables like J.J. Abrams and Quentin Tarantino guest-direct an entire episode; traveling the show to Detroit for a week's worth of Super Bowl-themed shows; conducting a special episode from a hospital bed with interviews featuring the doctors on staff of Grey's Anatomy, as they tended to Jimmy's snakebite wound; and constructing a state-of-the-art performance stage in the center of Hollywood Boulevard to showcase A-list music acts.